Now, more and more promotional products packed in metal box to make them looks noble. 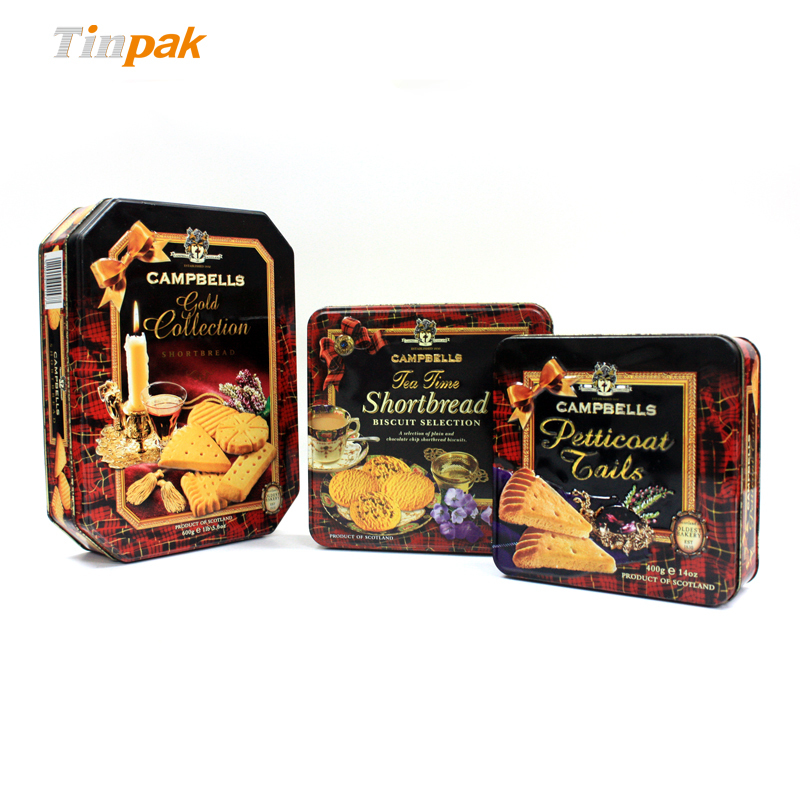 This big tin is one of the most suitable tin for food packing such as cookies, bicky, bread...we are so glad to tell you that our tin boxes have passed many European tests and FDA tests which proves our small toolings/chewing tins meet the standrad. Tinpak has Tinpak is established in 2006 with good quality management system and keep good relationship with our clients, We have in-house tooling department so we can provide many options to meet your requests. 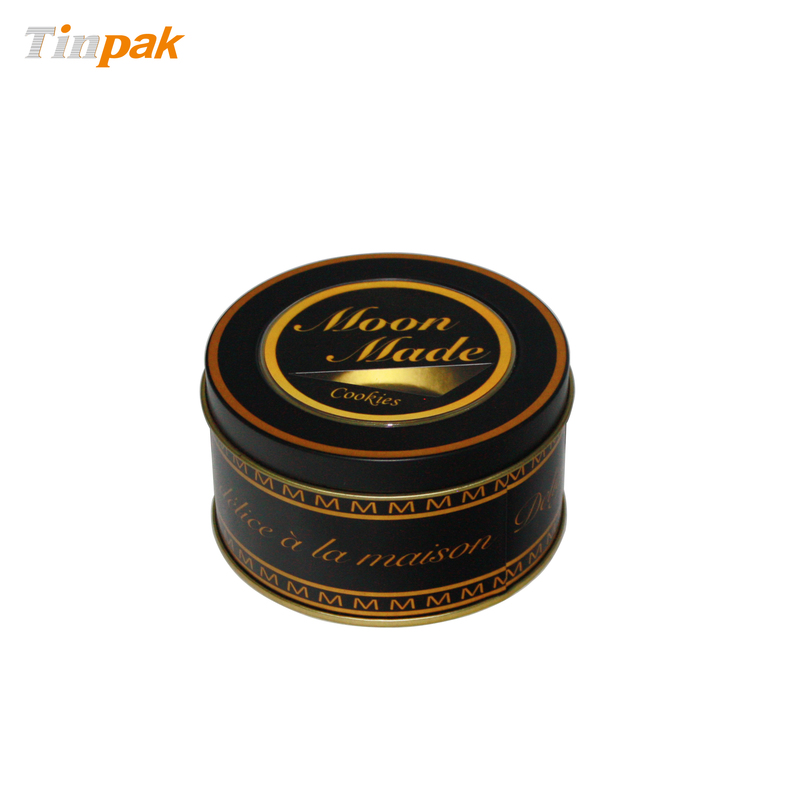 We have more than 600molds of all kinds of tin boxes for your free choice, the custom shape is also viable! This metal tin consist of 3 pieces first grade tinplate. The lid was curl outward so that you can open it easy, the body was curl inward to match the lid. Smooth roll line and food grade lacquer internal to ensure the tin boxes is safety for cookies/bread/chocolate/biscuit packing. This metal common tin box provide multitudinous possibility of design, Lithographic printing on the tinplate gives consumers a good metalic look which make this tin box look Noble. Your fancy customed design and the quality printing can make this common tin boxes meet your requirements. It consist of durable tin in silver optics and are looking timelessly elegant. Owing to different sizes they are suitable for treasuring a lot of different things. 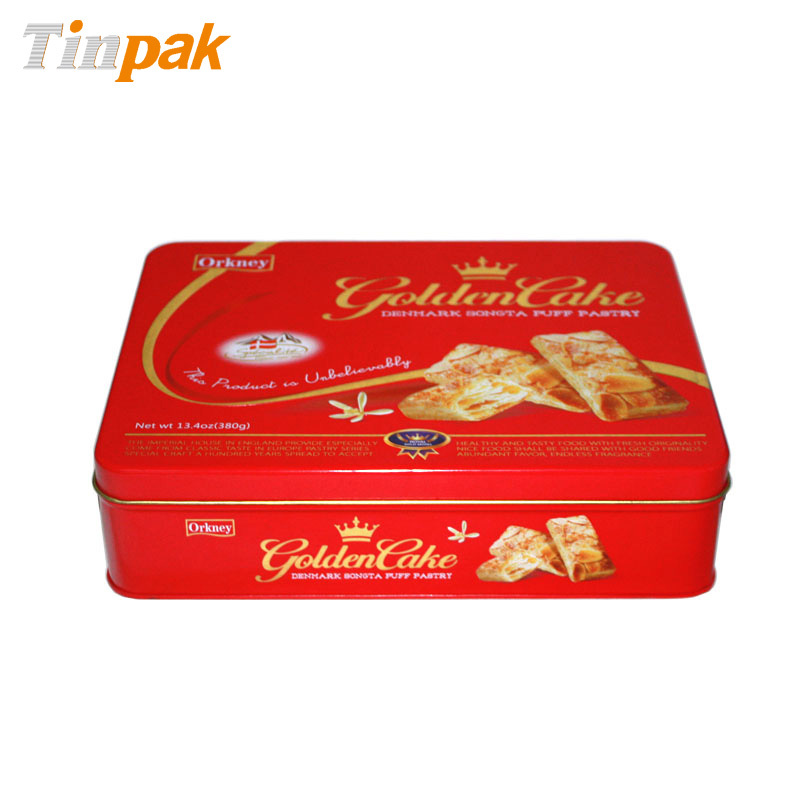 With more than 8 year's experience on food tin box design, manufacturing and trading, Tinpak would like to cooperate with you for every tin packing project. If you have any question or require more details, please contact us. We are always here for you! 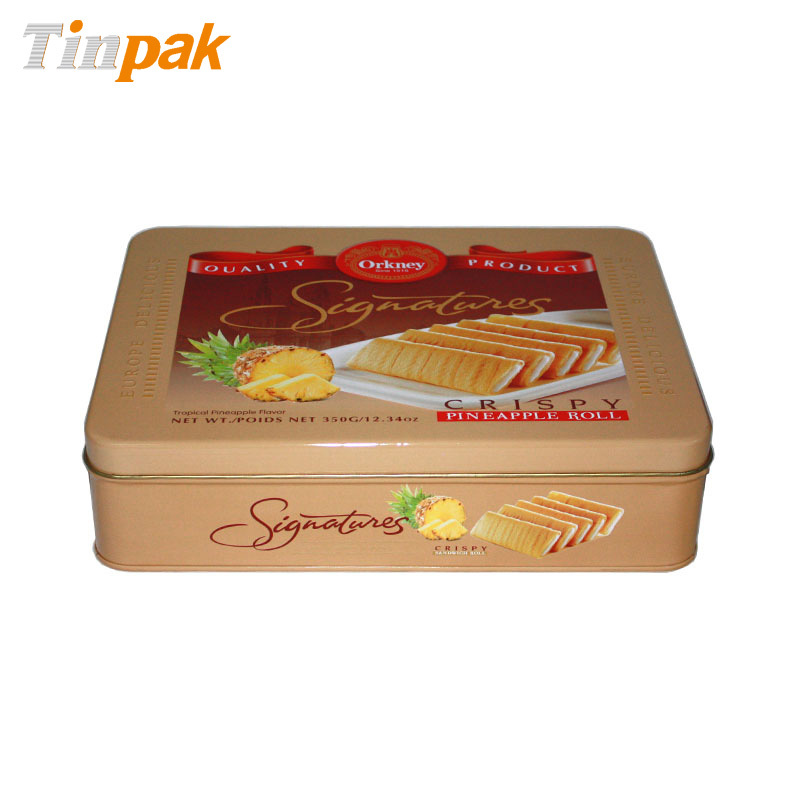 With various personalized CMYK or PMS printing, this biscuit tin can be custom designed for any food packaging, such as biscuits, chocolate, nuts, candies,ect. A distinctive look with a custom design for this cookie tin is an effective advertisement for your cookies and it is safe for food storage with food safe lacquer. Our deluxe cookie tins are black lacquered on the outside. The inside of these cookie tins are finished in gold to give a first class look to your product. Vivid embossing on the cover of this series of custom cookie tins make them have premium look and highlight the logo and branding. They are available in different sizes with the same printing.